As a patient, you have the right to expect professional standards of patient care by specialized doctors in Obstetrics and Gynecology. An annual report to the gynecologist or obstetrician should be a fundamental part of the health program of every woman. Women trust their obstetrician or gynecologist to properly evaluate their reproductive health and treat conditions that could cause injury. Unfortunately, obstetricians or gynecologists can make a mistake that causes injury or damage to a woman; thousands of women suffer from these errors each year. Sometimes injuries cause devastating damage to a child at the time of birth. The lesions can include brain injury, spinal cord injury or even death. Errors in Obstetrics & Gynecology are often preventable; they are the result of unconcerned, inexperienced or negligent providers. These medical errors can cause significant injury. Delivering a baby should be a happy event, but without the right care, it can become dangerous. Improper care and monitoring during pregnancy and childbirth can lead to a birth injury such as cerebral palsy. Annually, women suffer from errors in Obstetrics and Gynecology that cause injury, illness or death. The damage caused by an error of Gynecology and Obstetrics can last a lifetime and can seriously interfere with the patient’s health and quality of life. The results for mistakes in Obstetrics and Gynecology can be significant, such as organ damage, severe infection, birth injury and death. Errors in OB-GYN may occur before birth or in the delivery room. Primarily, patients should ask questions about medical procedures, medications they will be taking, and any other aspect concerning their care. Every physician should communicate honestly with patients, especially those who experience an injurious outcome. Open communication will decrease liability exposure; on the other hand, it will increase trust and improve patient satisfaction. Pursuing a claim for errors in Obstetrics and Gynecology can be a complex and expensive task unless you hire an attorney. You must show that an Obstetrician or Gynecologist was negligent. An expert malpractice lawyer should prove that the medical malpractice took place by showing that the medical provider was not skillful or competent and as a result, the patient was harmed. It is difficult to decide to start a lawsuit, but the courage to act may help prevent other patients from becoming victims of negligence in Obstetrics and Gynecology. Attorneys recognize that the damage suffered by patients is often caused by the negligent care provided, and does not correspond to the accepted standards set by the medical profession. Attorneys working in medical malpractice cases for errors in Obstetrics and Gynecology meet an essential objective for many people who are victims of negligence committed in hospitals, clinics and other healthcare centers in Miami. They are ready to evaluate a doctor's conduct and recommend the best course of action to guarantee you get the compensation you deserve. It is crucial to work with them from the beginning because they know Florida laws and can guide you through the process in the shortest time possible. Medical malpractice cases can become a complicated legal process, and justice can be hard to come by. Consequently, the assistance of a lawyer to handle the intricacies of each particular case is required. Every year women endure injury or death as a consequence of an unnecessary surgical procedure, medication mistakes, incorrect test analysis, and other issues. These errors bring about significant effects on the entire family. Gallardo Law Firm has been working in the last years with medical malpractice cases linked to errors in Obstetrics and Gynecology in Miami Florida. Our Attorneys have been defending the rights of customers who have chosen us to represent them. They are highly qualified and have extensive knowledge representing victims of negligent obstetricians and gynecologists. Errors in Obstetrics and Gynecology turn out to be a process which can be painful and overwhelming for many people. At Gallardo, we will find the answers to your particular case. We take time to understand how your injuries have affected your health and your life. Our lawyers will be able to help you in getting back losses associated with the surgery. Moreover, if you wish to file a medical malpractice lawsuit, our attorneys can provide you with representation in court. Gallardo Lawyers are committed to holding negligent healthcare professionals accountable for their actions. Medical malpractice cases can become a complex legal process, and justice can be hard to come by. Consequently, the assistance of a lawyer to handle the intricacies of each particular case is required. Every year women can endure injury or death as a consequence of an unnecessary surgical procedure, medication mistakes, incorrect test analysis, and others. These errors bring about significant effects on the entire family. If your problem is that you or a loved one has been the victim of medical malpractice by an error in Obstetrics and Gynecology, do not be afraid to find answers to all your questions. 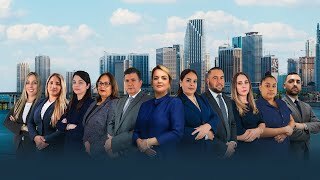 Meet with one of our attorneys, they will help you cope with your case and successfully dispute your claim. How can I know if I have a medical malpractice case in obstetrics or gynecology? Have your case reviewed by a specialist in medical malpractice. Often cases are lost because they are not in the hands of a lawyer, thousands of lawsuits have stopped processing because they are made by lawyers who are not specialists in medical negligence and not knowing about these procedures make a mistake giving as a result a loss of the case. What should I do if I believe my kid has suffered a birth injury? You need to look for medical attention for your child first. Then, contact a medical malpractice expert attorney that will follow the steps to determine if your suspicions are real. They will evaluate your case and give you advice in how to proceed. How do I differentiate a medical error from a natural act? Most of the time you will not be able to differentiate one from the other until you have talked to a personal injury lawyer. Healthcare professionals are entitled to follow certain standards of care, when they fail to do so, injuries result, and the medical professionals are accountable for the medical malpractice. Can I lawsuit the OB-GYN who treated me at the delivery and my child suffered injuries at birth? Not all birth injuries are the result of medical negligence. However, an inappropriate management or delayed delivery can considerably increase the risk of complications. It is also expected that physicians follow the correct procedures in dealing with the complications that may arise. For this reason, a medical malpractice lawyer for errors in obstetrics and gynecology shall review, study and investigate your case in order to find a way to start a process where it is shown there is a victim of medical malpractice. How long does an OB-GYN lawsuit take? It depends on different factors. Each case involves its own set of facts that will affect the duration of the process.